From ornate royal palaces to cloud-piercing sky scrapers, there’s no denying that London is a beauty. And while the city is a knock-out, it can be easy to get swept up in the tide of the nearly nine million people living there and forget to take notice of your surroundings. Whether you’re a local or simply dropping in, take the time at the end of a long day to catch London at its best–at sunset, when the word seems to slow down just a little and everything is cast in a gorgeous golden glow. 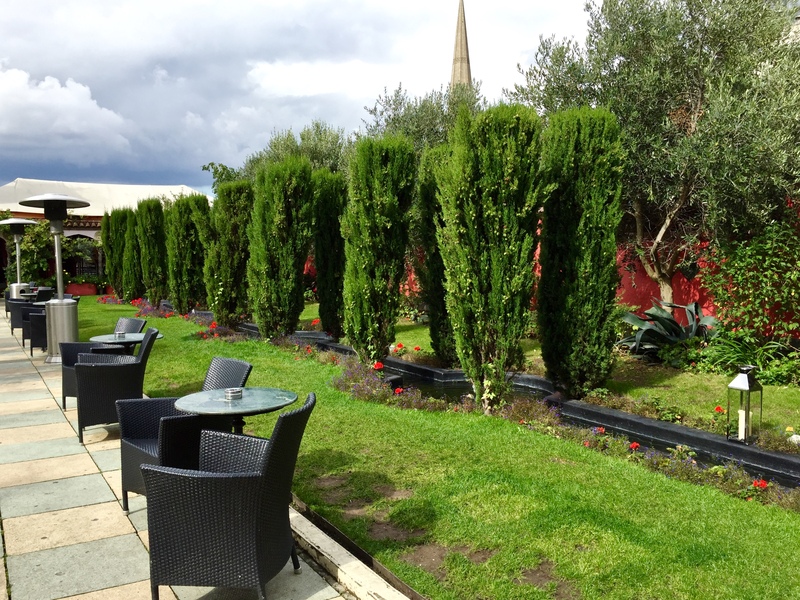 Originally a department store, The Kensington Roof Gardens were opened in the 1930s and offered a sanctuary from the madness of London’s shopping streets. Today the gardens are just as soothing and are split into three parts: a Spanish garden with a terrace and working water fountains, an arch-filled Tudor section, and a traditional English garden full of woodland trees and four flamingos. Now owned by the Virgin group, the venue often holds live music nights with a focus on acoustic and contemporary music. While floors 1 through 35 of “The Walkie Talkie Building” might be number crunching and straight-talking business, floor 36 is home to a leafy oasis. 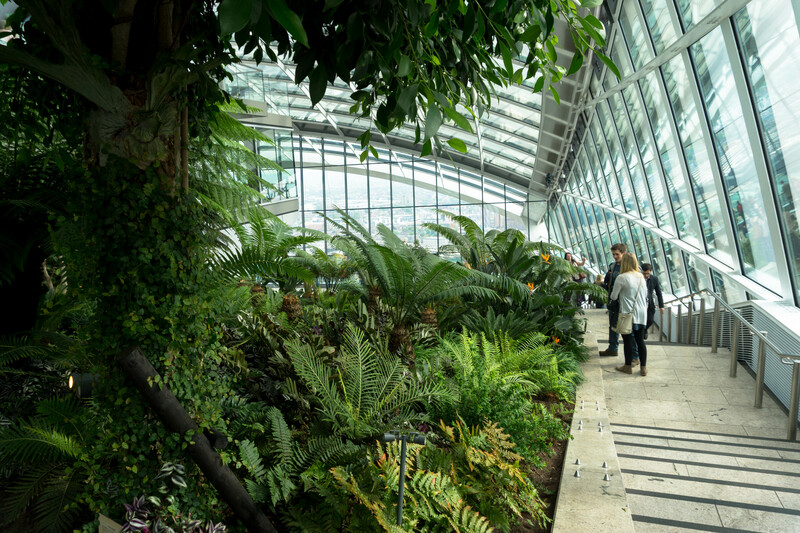 The Sky Garden opened in 2015 and was designed with giant glass panels that allow you to see out over the Shard, Gherkin and some of London’s most famous landmarks. 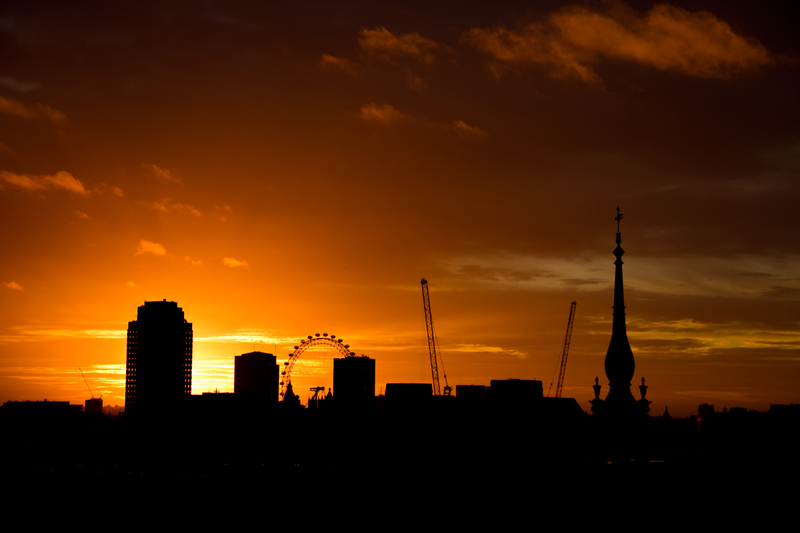 If you’re more of an early bird, get up at the very crack of dawn to greet the sun at one of the venue’s yoga classes which has you stretching while looking out at London coming to life down below. Head into the heart of the city’s finance world to find one of London’s newest sky-high spots. Bokan takes over the top three floors of the world’s tallest Novotel. Located in Canary Wharf, the restaurant and bar is based on the area’s shipping history with steel beams, exposed brick and minimalist interiors. Be warned, you may forget about the swish style with views as stunning as Bokan’s. 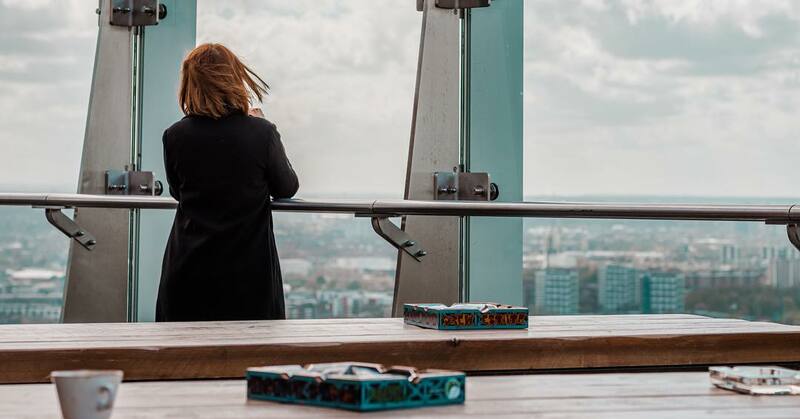 Head to the rooftop on a sunny day or bag a space near the floor-to-ceiling windows to watch the sky blaze over all of London’s most important cultural landmarks. There’s also a restaurant on the 37th floor which serves seasonal and locally-sourced dishes with a European twist. 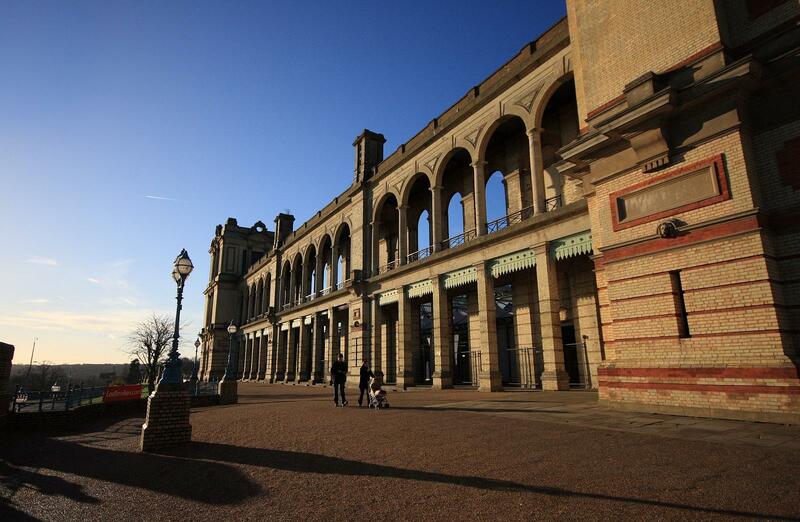 First opened in 1873, Alexandra Palace has survived fires, two world wars and more than 100 years of wear and tear. Due to an ambitious regeneration project, Ally Pally as it is fondly known, is being restored to its former glory. It’s a steep climb to the North London view but it’s worth it. With the Victorian palace as your backdrop, the entirety of London sits at your feet. Take a picnic blanket and sit on the grass or catch the last of the day’s rays at one of the Sunset Sessions, a series of music, food and drink events. 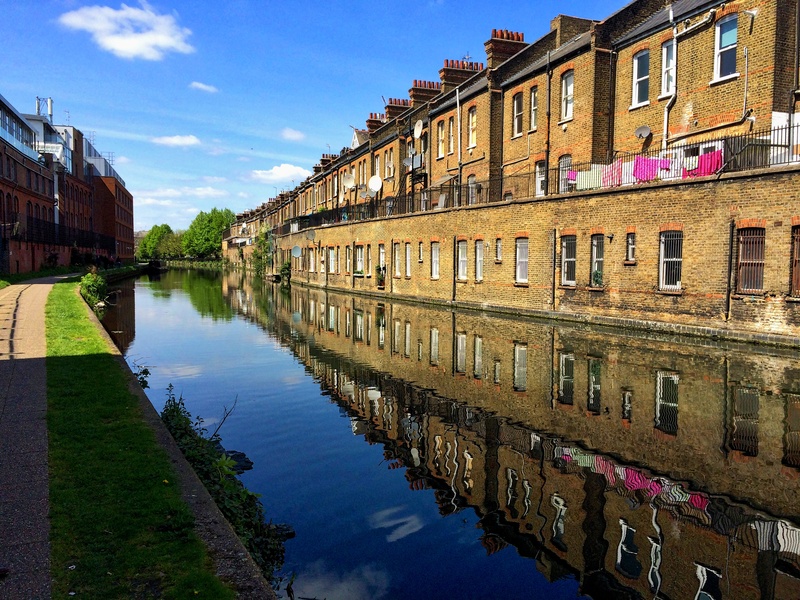 While there’s no denying the beauty of the River Thames, London also has an extensive canal network which is just as pretty and lot less famous. When it comes to taking time out to enjoy the evening, Hackney Wick is a neighborhood Londoners would rather keep secret. Located in the arty East London, the Alfred Le Roy is a bright blue canal boat that chugs along the city’s waterways. Jump aboard the boat for a two hour tour that includes cocktails, charcuterie boards and a great sound system; once you’re finish, spend the evening at Crate Brewery, which is a pizza-serving microbrewery right next to the water. About the Author: Faith Strickland has a background in travel writing and can usually be found exploring East London’s coffee shops. Follow her on Twitter @FaithStickla11.